Home>News>Hardware>AMD To Design Their Own Silicon For Their Chipsets, Epyc Being Migrated To X570 & More! AMD To Design Their Own Silicon For Their Chipsets, Epyc Being Migrated To X570 & More! 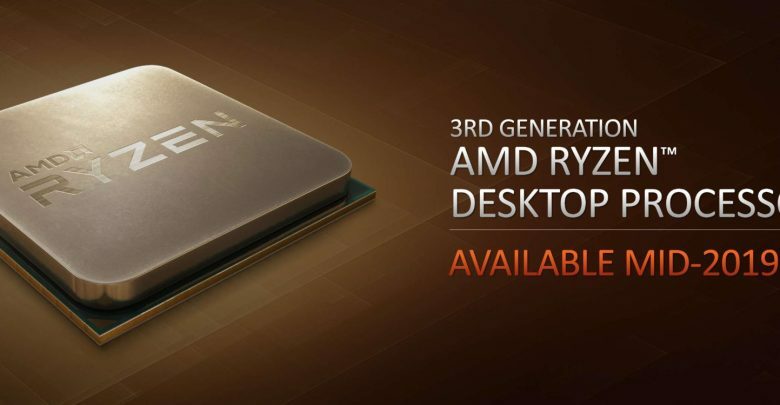 People all around the world are eagerly waiting for AMD’s Ryzen 3000 CPUs. Rumors and leaks have been building up the hype for a CES launch for quite some time. Unfortunately, we didn’t see much about the upcoming processors in AMD’s keynote at CES. However, it was announced that the Ryzen 3000 series will be launching in “mid-year”. A vague release date does make sense though, to keep space for some unplanned changes. Today, GamersNexus released some more information about the upcoming processors from AMD. First of all, we have the most noteworthy information, ie, AMD dropping ASMedia. The previous AMD chipsets were made by ASMedia, for those who are unaware. Interestingly, AMD will be designing the silicon itself this time around. Similarly, “AMD is migrating its Epyc chipset down to X570, making updates for Ryzen 3000 CPUs”, as Gamer Nexus reports. Furthermore, the X570 will run at 15W instead of the 6-8W for the X470 chipset. Consequently, this means more throughput and the presence of PCIe 4.0. Speaking about PCIe 4.0, there is no definite, but rather conflicting information regarding the same. Some are hinting that the PCIe slots will have only PCIe Gen 3. GPUs are not likely to get any benefit from PCIe Gen 4.0 anyways, apart from reduction in lane requirement. What’ll be notable is the performance bump in I/O devices. The increased bandwith will ensure higher speed transactions in SSD and NVMe devices. Finally, we have a word on the midrange B550 chipset. The B550 will hit shelves after the X570 chipsets. That points to a likely third quarter launch. But, then again, it depends on the X570 launch timeline as well. With only five months left for official information regarding the Ryzen 3000 series, be geared up for more rumors and leaks along the way.